What could be better than a day at the races in horse country? World-renowned tenor Anthony Kearns will sing the National Anthem and “God Bless America” at the 2018 Jim McKay Maryland Million Day at Laurel Park on Saturday, October 20, 2018, it was announced. The 33rd annual running of Jim McKay Maryland Million Day is set for Saturday, October 20, 2018 at Laurel Park. Visionary, second generation Belinda Stronach, Chairman & President, The Stronach Group is leading the charge to amplify Maryland Horse industry, treading her own path, even if it has her at odds in the press, with her Dad, legendary Austrio/Canadian businessman, Frank Stronach. As is often the case with family owned businesses, sometimes there’s a lack of alignment in vision, however Belinda, named a “Global Leader of Tomorrow” by the World Economic Forum, way back in 2001, knows a thing or two about making smart decisions. This remarkable woman prefers to stay out of the limelight, but MyCity4HER.com founder, and fellow Canadian caught up with her team to find out more about the event and why she was so committed to bringing such creativity and passion to the local horse racing environment. graduated from Newmarket High School and attended York University in 1985, where she studied business and economics, but dropped out after one year to work at Magna. She speaks English and German fluently. 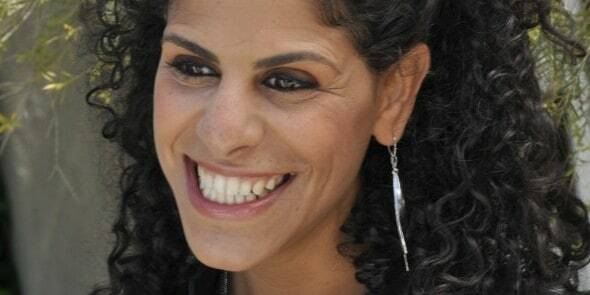 Our founder, Monyka Berrocosa, a fellow Canadian, grew up not too far away in Markham, Ontario, which is established horse country and one of Toronto’s most affluent suburbs. Both women have found themselves in Baltimore, Maryland and are here mainly for business and a chance to tread their own paths, as is the case with many second generations of successful family owned businesses. This year’s race supports the Alzheimer’s Association, of which Monyka has a close personal affiliation having lost her beloved paternal grandmother and entrepreneurial mentor, to the disease, years ago. Monyka often credits her “querrida Abuelita” as being the reason she is successful today, and why she remains committed to helping any woman in business, or just in her own life, to getting ahead. The ethos behind MyCity4HER.com has always been to #helpHER first, and recognize that when women partner, and collaborate, they are #bettertogether. Working Moms do so much and Belinda Stronach is no exception, that’s why Maryland Millions Day is a wonderful opportunity to get out with the family, or with some girlfriends and have a great time. For a full program of the day’s festivities, click here. To read a fantastic article by Baltimore Magazine writer Corey McLaughlin, click here, it will help you understand Belinda’s desire to 10x the Maryland Racing and Horse industry as is common of most progressive, Canadian businesswomen. 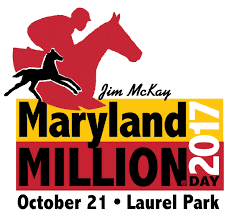 Jim McKay Maryland Million Day features races for Maryland-sired horses with purses and awards totaling over $1 million. The 2014 edition featured stellar performances by two of Maryland’s favorite Thoroughbreds – Eighttofasttocatch, who became the first horse to win the Classic three times and Ben’s Cat, runner up in the Maryland Million Turf in 2013 and 2014 after capturing the Turf Sprint three years in a row (2010-2012), before that race was removed from the program. Maryland Millions Advisory board includes one of MyCity4HER.com’s favorite women in business leaders and mentors, Theresa Wiseman, owner of MediaWise, Inc. To learn more about Theresa’s firm, click here. A crowd of over 18,000 fans, industry professionals, and elected officials are regularly enjoy “Maryland’s Day at the Races,” featuring a competitive day of racing and a variety of other on-and-off track activities. For more information call 410-252-2100 or visit the website. Stronach group is one of the world’s leading horse racetrack operators and suppliers of pari-mutuel wagering technology. They offer their customers the thrill and excitement of live thoroughbred racing and wagering at racetracks across America. Their racetracks include Santa Anita Park, “The Great Race Place”, Pimlico Race Course, home of the legendary Preakness, and the spectacular Gulfstream Park, one of Florida’s newest entertainment destinations. They are a leading producer and distributor of televised horse racing programming and one of the world’s leading thoroughbred race horse breeders, having produced numerous Triple Crown and Breeders’ Cup champions. To learn more about the Stronach Group and it’s commitment to excellence, click here. Next PostLove your kids – Get Tested for Breast Cancer Mom AND Dad – Please and Thank you.